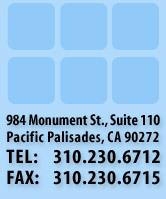 Moadeb & Associates, Inc. formerly known as Ness Moadeb, an Accountancy Corporation is a local accounting and consulting firm located in Pacific Palisades that was established in 1982 by the president, Mr. Ness Moadeb. The firm has provided over 25 years of high quality, timely and personalized accounting services to a diverse clientele in the local and national business communities. 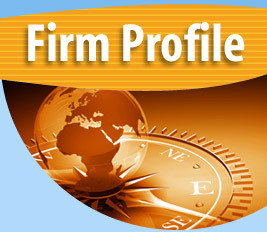 The firm and its clients have a long history of association and include companies located throughout the United States. Moadeb & Associates provides a full range of accounting, tax, business consulting and tax planning services. The services provided by our firm are responsive to changes in the environment, which is affected by the developments in information technology, the increasing complexity of tax laws and regulations, greater demands by the public for new types of information. Serving our clients is our highest priority… Without satisfied clients, we wouldn't be where we are today. Our goal is to service clients by providing timely and useful financial reports and information to use in their respective businesses to achieve their ultimate success. Our team of professionals make it their ultimate goal to make sure your business is treated like their own. © 2007 Moadeb & Associates, Inc. • All rights reserved.